Labels looked professional on Wedding Envelopes. 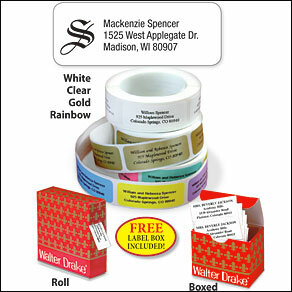 Easy to use return address labels; professional in appearance; last a long time, efficient. Once you use them, you'll always want them. I would like labels that would all start at the same margin not centered. I order monogram ones and cut letter off often. ...this is for my Christmas Cards this year...the design and requesting clear background, gives the envelopes a very distinguished look. I use these labels on everything. Some labels are only addresses, some have address and phone numbers and some have information on them not related to addresses at all. Use your imagination! Good quality for the value, and very simple to use. price has gone up ~ a coupon would have been nice. Also, I thought about getting some more labels, but it was after I had those shipped -- perhaps ask before completing the order if another family member might need some labels? They don't print'um like they used to! We really liked the Old English return labels we had done before, but this new order looks cheap. 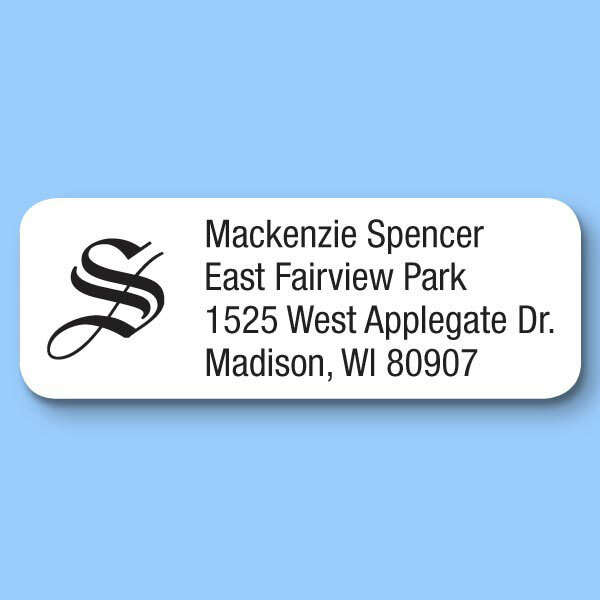 The Old English letter is black instead of a deep blue and the name and address lettering is a narrow font. Also, the label itself is fatter up & down leaving a lot of space above and below the printing, again, giving it a cheap look. Very disappointed. Hard to peel off, not what I expected. I like talking to sales people so you know what you are getting. It wasn't like what I ordered before.